The Smith Townhouses are located in the southeast section of the city. There are four buildings on the property, which includes a number of two-bedroom and three-bedroom units. All units are cable and Verizon Fios ready. Each unit has a laundry hook-up, and onsite parking is available. 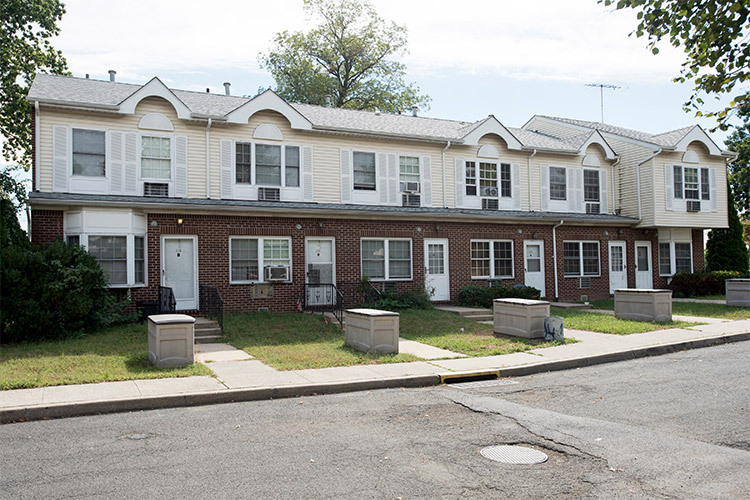 The Smith Townhouses are situated in a residential (single family) neighborhood that is close to the Yonkers Raceway and Casino. The Cross County Shopping Center, an upscale outdoor mall with a multiplex theater, is also nearby. These apartments are easily accessible to public transportation. Restaurants, shopping and the Tibbetts Brook Park are nearby. The site also offers a free monthly food pantry and supportive services referrals are available through collaboration with The Family Service Society for the City of Yonkers.